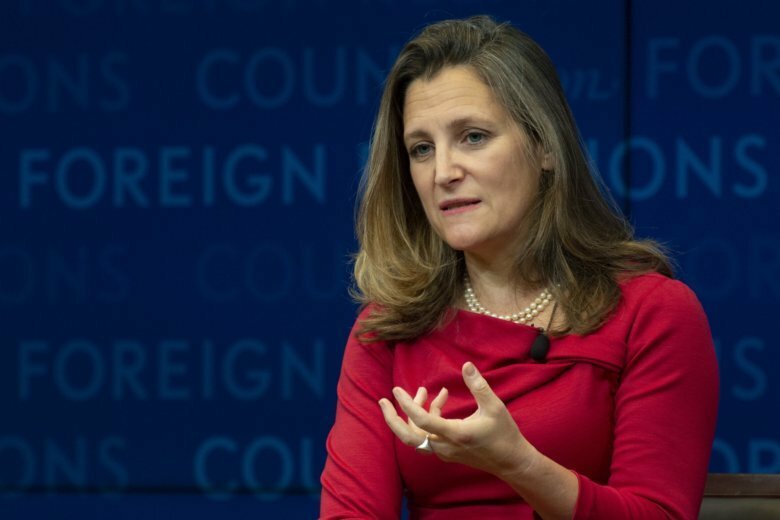 TORONTO (AP) — Canadian Foreign Affairs Minister Chrystia Freeland postponed her U.N. speech as free trade talks between the U.S. and Canada intensified. Freeland had been scheduled to deliver Canada’s address to the General Assembly on Saturday in New York, but Canada exchanged the slot with another country. Freeland may or may not give the speech on Monday. A senior Canadian government official said they are making progress in the talks but said it’s not certain that they will reach a deal soon. The official, who spoke on condition of anonymity because they were not authorized to speak publicly, said Canada will only sign a good deal. U.S. President Donald Trump has said he wants to go ahead with a revamped NAFTA — with or without Canada. It is unclear, however, whether Trump has authority from Congress to pursue a revamped NAFTA with only Mexico, and some lawmakers say they won’t go along with a deal that leaves out Canada. But trade attorney Daniel Ujczo of the Dickinson Wright law firm, who follows the NAFTA talks closely, said the United States put pressure on Canada, saying there would “consequences” if it didn’t reach an agreement by the end of the day Sunday. Trump has repeatedly threatened to start taxing Canadian auto imports. Ujczo put the odds of a deal this weekend at 75 percent. Relations between the two neighbors have been strained since Trump assailed Canadian Prime Minister Justin Trudeau at the G-7 meeting in June, calling him “weak” and “dishonest.” Canadian leaders have objected to Trump’s decision to impose tariffs on Canadian steel, citing national security.